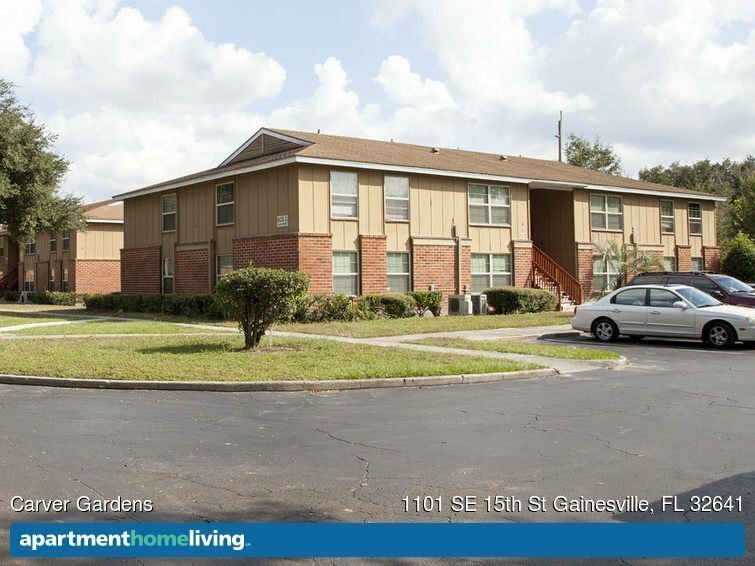 For people looking for affordable housing that is close to the University of Florida campus, Carver Gardens is an excellent option. This apartment complex has 100 one, two, and three bedroom apartments that are located in a convenient part of town. This property does have a Section 8 contract with HUD, and if eligible, tenants can pay rent based on their income. 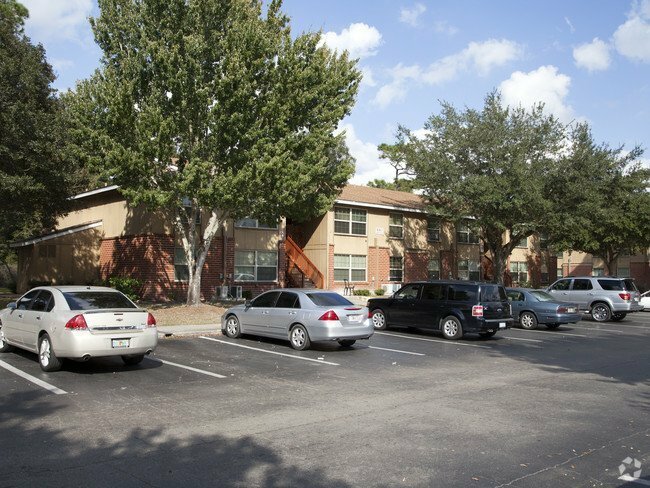 For students or staff at the University of Florida, commuting from Carver Gardens is convenient. The Reitz Student Union, in the center of campus, is just over three miles away from the apartments. Driving, riding a bicycle, and utilizing public transit are all popular options for residents here. To access the northern part of campus around Library West and Tigert Hall by car or bicycle, the easiest route is to go north on SE 11th Street, then make a left onto SE 4th Avenue. SE 4th Avenue stops right at campus, and from there, students or staff can cross onto campus onto Stadium Road, or go south a few blocks via SW 13th Street and enter campus via Inner Road. Once on campus, there are several parking locations. For destinations in the southern part of campus, such as Shands Hospital or several of the science buildings, instead of using SE 4th Avenue, it’s easier to head west on SE Williston Road. That road turns into SE 16th Avenue which runs directly into SE 13th Street. Because SE 13th Street borders campus along the east, students or staff can turn into wherever it is convenient and find a place to park or place a bicycle. There are several parking areas on the southern part of campus. For students and staff who prefer to utilize public transportation, there are several bus stops for the #2 and #3 city bus routes. Both of those routes stop at the Rosa Parks Transit Station downtown where connections to campus routes are available. The #1 bus route goes from Rosa Parks through campus to Butler Plaza. Nearby amenities to Carver Gardens include a Save-A-Lot grocery store that is just over a mile away on Hawthorne Road. There are numerous restaurants along University Avenue which is less than 10 minutes by car. Popular shopping destinations include The Oaks Mall and Butler Plaza. The Oaks Mall is located along W. Newbury Road and 62nd Street and is accessible by bus or is about 20 minutes by car. Butler Plaza has Target, several large stores, a movie theater, and several restaurants. It is located on Archer Road and SW 34th Street, only a 10-minute drive from Carver Gardens.